← The Han Solo Dog is back aboard. 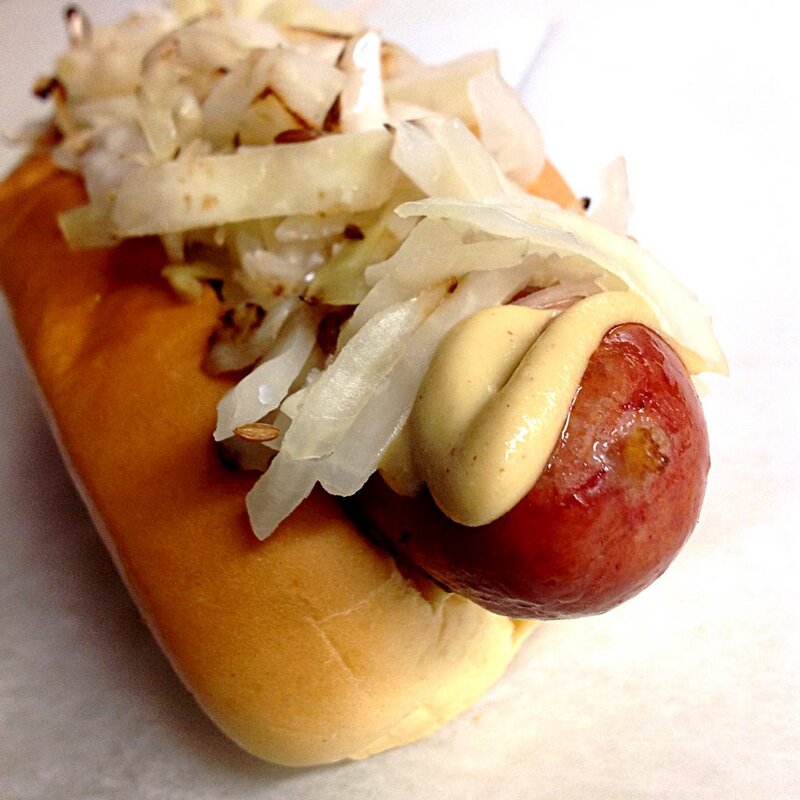 Grilled Pearl all-beef dog, local Lost Art Cultured Foods organic sauerkraut, and Dijon mustard on a butter toasted Martin’s potato bun. You’ll love it, and it knows it. We’re headed to Teknor Apex in Pawtucket for lunch, 10:45 to 1:30.